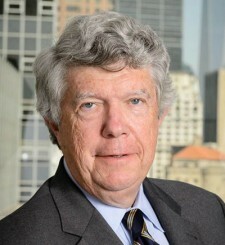 Thomas J. Mitchell, a partner of the firm, focused on real estate, corporate, estate and not for profit matters. His practice included representing clients in mergers, sales, leasing and purchases of real property. He represented various religious organizations in the New York area. He also represented clients in estate planning, probate, and tax matters before governmental agencies. Tom lectured on estate matters and not for profit matters before various civic and church groups. Tom joined McCanliss & Early in 1994 after serving as Corporate Counsel to a major corporation and prior to that was an associate and partner in several New York area law firms. Tom had served as Chairman of the General Practice Section of the New York State Bar Association and member of the House of Delegates. Tom had also served as an Arbitrator in New York City Civil Court and as a Court Appointed Evaluator. Tom taught business law at Pace University. In his personal life, he served as a Commander of VFW Post 8540, was a member of the Knights of the Holy Sepulchre and various civic and religious organizations.